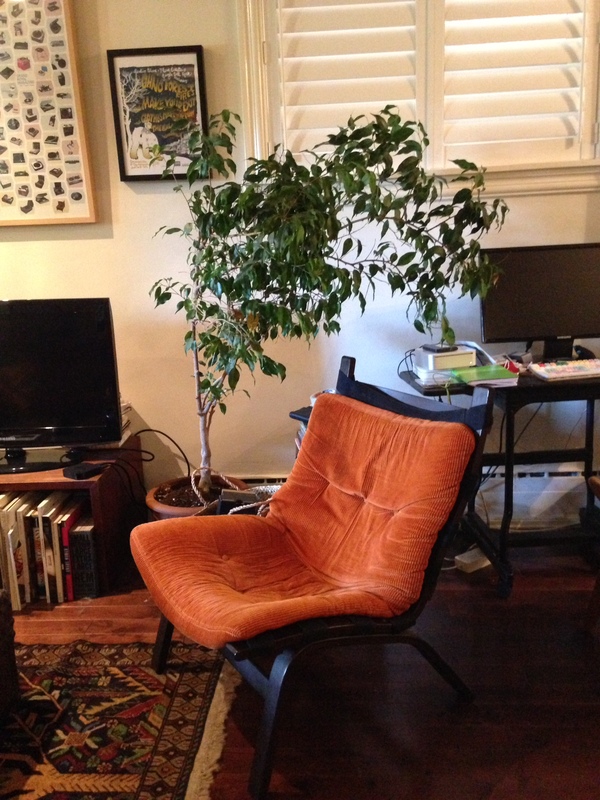 I spent a lot of time searching Craigslist for furniture that suited our new place. In fact, we found five great pieces there. I’ve already shared the Made in Denmark credenza. Today let’s talk about the set of Farstrup chairs that we found. Farstrup is a Danish company that started out as a sawmill in 1910. By the middle of the 20th century, the business expanded and they became known for the sophisticatedly simple wood designs. This example is from the Miljø range. In fact we have two — one in mustard and this orange one. They belonged to a lady who lives nearby and was downsizing. she bought them years ago from an older friend who bought them new in the 1960s. They still have the labels on them. The corduroy cushions are a little worn. If we can afford it, I’d like to reupholster them in leather. Now it’s time to turn to Craigslist to get rid of some of the things that don’t work in the new space.